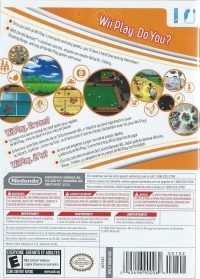 Box Text: Once you pick up Wii Play's nine quick and easy games, you'll have a hard time putting them down. 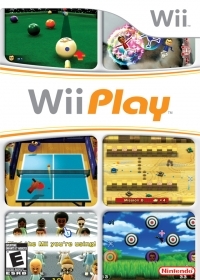 With the Wii Remote's intuitive controls, anyone can master Billiards, Fishing, Shooting Range, and any of the Wii Play games with ease! 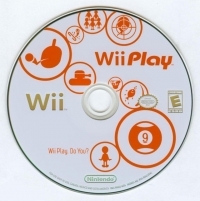 11-09-2013 pacpix Box Text Once you pick up Wii Play's nine quick and easy games, you'll have a hard time putting them down. With the Wii Remote's intuitive controls, anyone can master Billiards, Fishing, Shooting Range, and any of the Wii Play games with ease! This is a list of VGCollect users who have Wii Play in their Collection. This is a list of VGCollect users who have Wii Play in their Sell List. This is a list of VGCollect users who have Wii Play in their Wish List.